Love Saves the World: Review: The Trouble with Being Wicked by Emma Locke + Giveaway! Review: The Trouble with Being Wicked by Emma Locke + Giveaway! After eighteen years of working, Celeste Gray has finally reached the pinnacle and is the foremost courtesan in London. But, after eighteen years of working, Celeste has grown tired of the shallow connections and empty attachments and yearns for something more. The last straw for Celeste was when her friend, Elizabeth, falls pregnant as a last ditch effort to keep her current protector. Celeste saw this as an opportunity to leave London and start fresh. Opportunity came in the form of a small cottage being sold by Lord Trestin in Devon. Far enough from any sort of distraction, isolated enough from people who might know of her -- Celeste loved the idea and quickly bought the property and whisked her friend and their small staff to the country. What Celeste doesn't count on is finding distraction in the form of her new neighbor, Lord Trestin. One look at Celeste, and Trestin knows his carefully-held principles of propriety and morality are in danger. Trestin also knows that Celeste's story doesn't add up -- a companion to Elizabeth? A Miss Smythe and Mrs Inglewood, with Captain Inglewood away on duty? Trestin knows they are lying. What Trestin doesn't know is why. When Lord Montborne, a man Celeste knows quite well, arrives in Devon, and he turns out to be very good friends with Trestin and his family, the image that Celeste has worked to cultivate threatens to crumble around her. I enjoyed seeing Celeste and Lord Trestin's first meeting from Celeste's point of view, where she openly assesses his "potential" -- it's very refreshing to have a heroine who isn't so squeamish about her body or her desires. I thought Celeste was a remarkable heroine. A woman who did what was necessary in order to survive. I love how she is able to adapt to the many twists and curves that life throws her way. Celeste wants a fresh start -- a chance to live a life that she never had the chance to live when she was younger. Now she has the money and means to do so and to enjoy it. But therein lies a fundamental problem: is such a change possible? Can one really walk away from one's past and reinvent one's self? She took his arm again. Her heart raced as they entered a long, cream-colored hallway. Centuries-old paintings hung from the walls, stone-faced ancestors frowning at her intrusion. Her belly became leaden again. His resplendent estate was flawless. She was a soiled splotch contaminating it. The ideal vs The real -- The pursuit of perfection is central to the story. Trestin is pre-occupied with marrying a paragon and gaining acceptance into society. Surrounding himself with schedules and rules to ensure that he becomes nothing like his father. Celeste and Trestin try to run away from the past that shaped them. Both of them struggle to contain their true selves, trying so hard to conform with society's standard of propriety but, instead of being happy in that "ideal" life, they are both miserable. In Lord Trestin's case, he also makes the lives of his sisters miserable. The arrival of Lord Montborne changes the dynamic between Celeste and Trestin. For Celeste, Montborne is the rude awakening, the slap in the face, that painful yet honest reminder of who she is. His eyes searched her face. "But that's because you and I are of a kind. Not quite worthy of the rest of the world. A dalliance with Trestin, on the other hand, can only cause pain. Yours and his. You must end this before it becomes anything more." His eyes steeled, but they couldn't cut her as deeply as his words just had. I loved Lord Montborne (and secretly wanted him to end up with Celeste but I'm glad he has someone he loves) -- I think he represents a man who knows who he is and makes no excuses for it. He is very self-assured and confident -- and Trestin yearns to enjoy that same kind of freedom and nonchalance that Montborne has. The Trouble with Being Wicked is the debut novel of Emma Locke and part of her Naughty Girls series. The second book, The Problem with Seduction (Elizabeth's story) is out now. To find out more about Emma Locke and her books, visit her website. She is also on Facebook and on Goodreads. 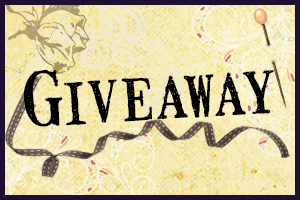 Emma Locke is giving away an e-copy of The Trouble with Being Wicked! I'm holding the giveaway via Rafflecopter. *This giveaway will run until April 14.